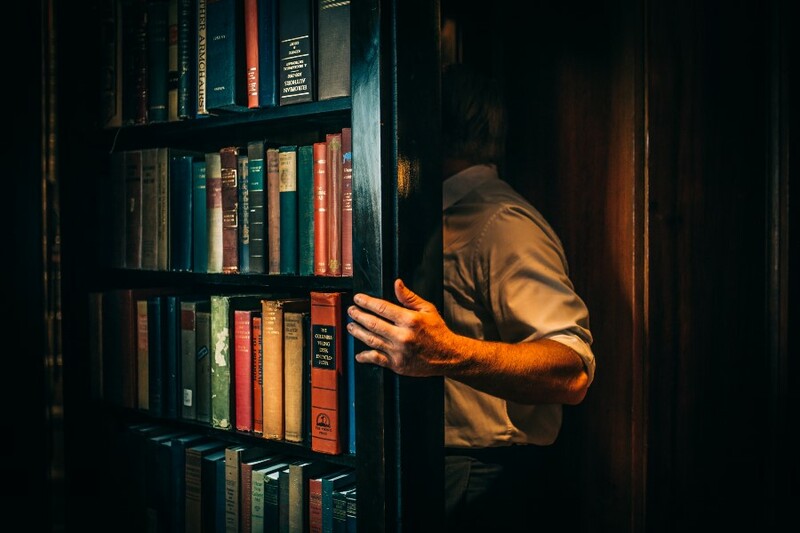 Behind an ordinary looking bookcase, a clandestine passage used in the days of prohibition leads you up the stairs to reveal a members-only speakeasy. 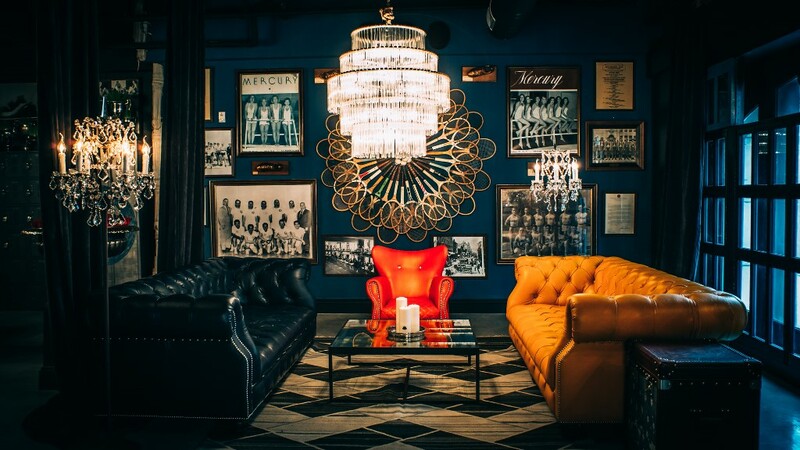 Welcome to the historic Blue Room at the Los Angeles Athletic Club, reinvented for today with the help of Timothy Oulton. 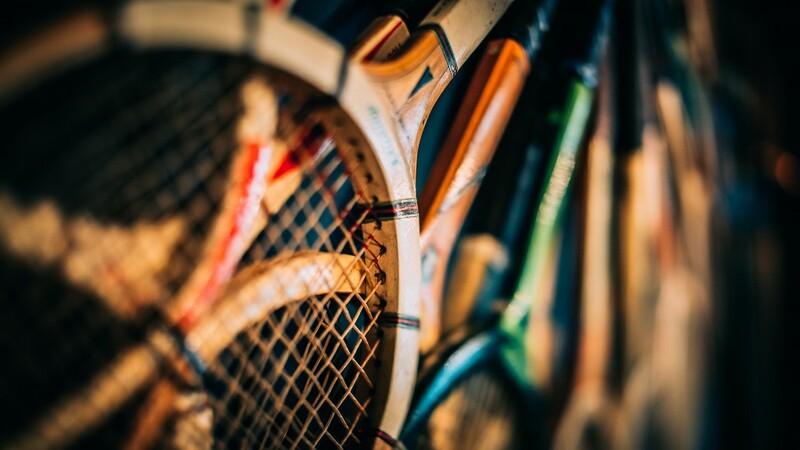 The Los Angeles Athletic Club (LAAC) was the city’s first private club, founded back in 1880 for the “best young men” of the community. 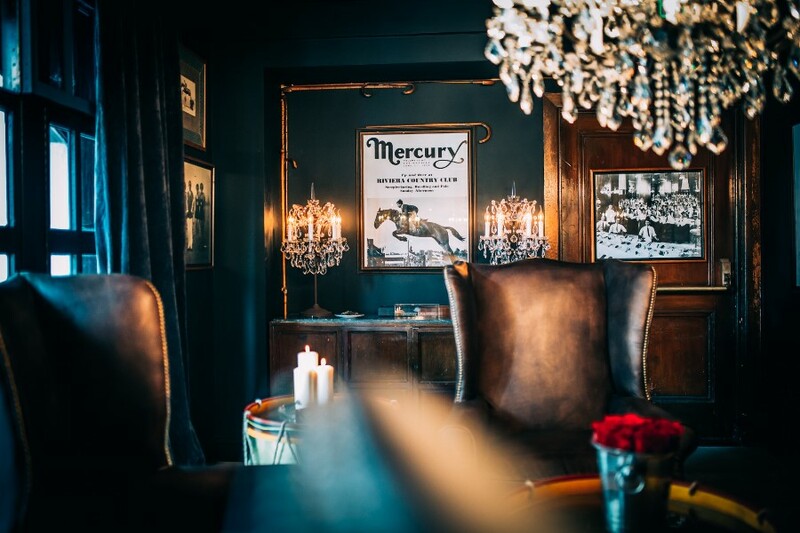 As L.A. grew, so did the club, with a prestigious members list including Hollywood royalty Douglas Fairbanks, Mary Pickford and Rudolph Valentino. LAAC’s most famous resident, Charlie Chaplin, lived at the club when he first moved to Hollywood, cherishing the privacy it allowed him. Having been run by the same family for six generations, today LAAC remains a cultural institution in the city. 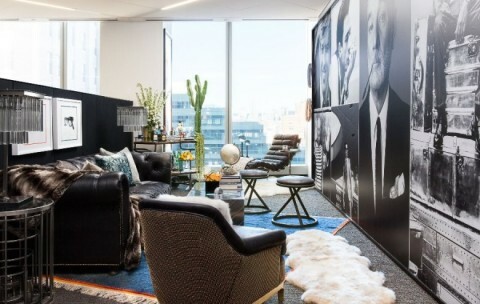 With downtown L.A. undergoing a huge rejuvenation in recent years, LAAC is reinventing itself with a multi-million dollar renovation. 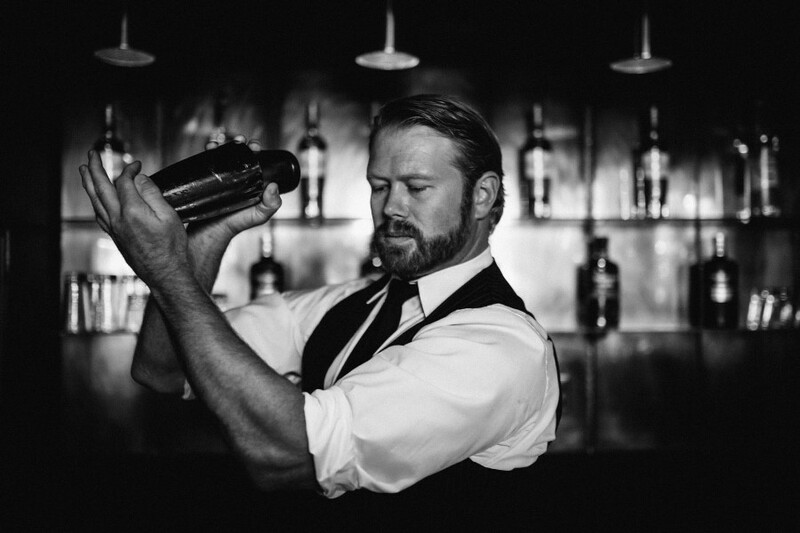 Staying true to its historic roots, the owners decided to bring back the club’s original Blue Room on the fourth floor. 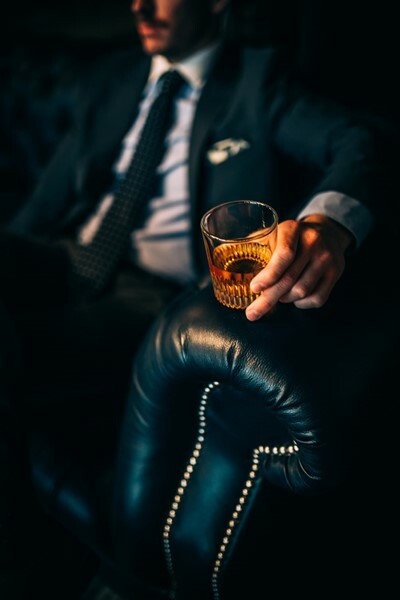 Back in the day, this exclusive lounge hosted some of the city’s most influential people, forming friendships and business connections that helped shape the city’s history. 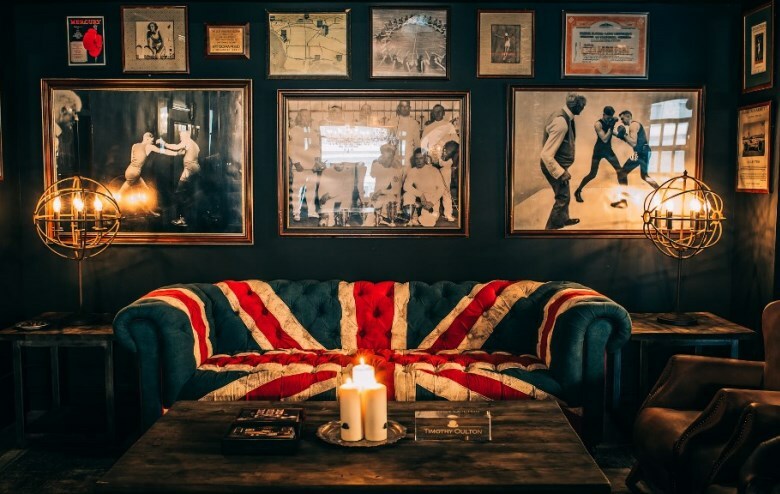 With such an abundantly rich heritage, LAAC enlisted the help of Timothy Oulton to furnish the Blue Room and recreate its bygone magic with some modern sophistication. 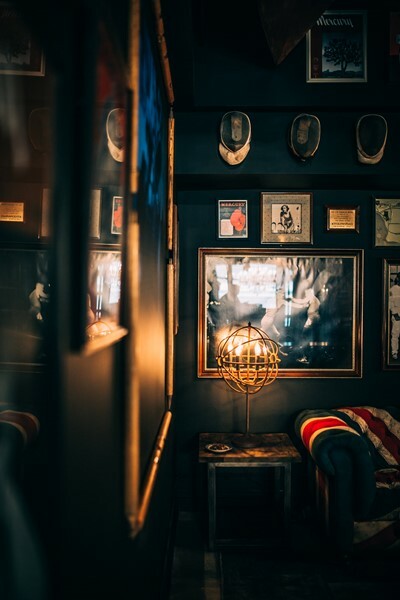 So let’s wander through the Blue Room for an exclusive peek at this members-only club-within-a-club. 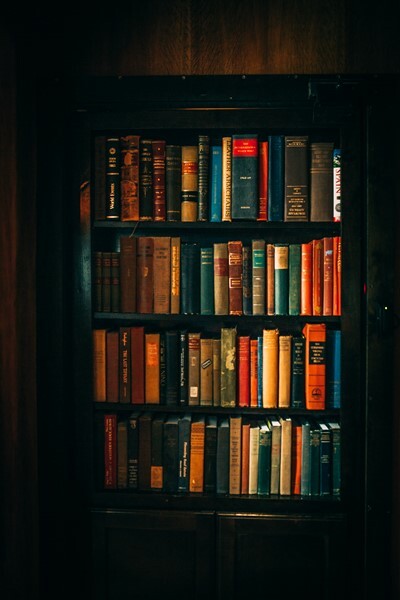 The intrigue starts in LAAC’s third floor bar at an unassuming bookcase; a secret door that opens onto a concealed staircase, at the top of which lies the Blue Room. 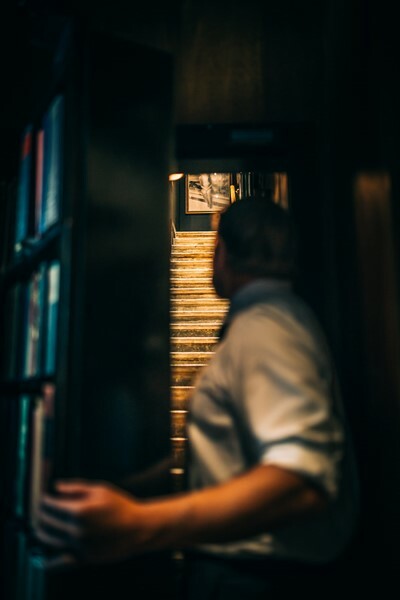 This clandestine passage was actually a long-forgotten secret from prohibition days, revealed during the building’s recent renovations and re-opened in homage to the Blue Room’s storied past. Stepping inside, dark walls and black drapes framing the huge windows suggest more drama is in store. 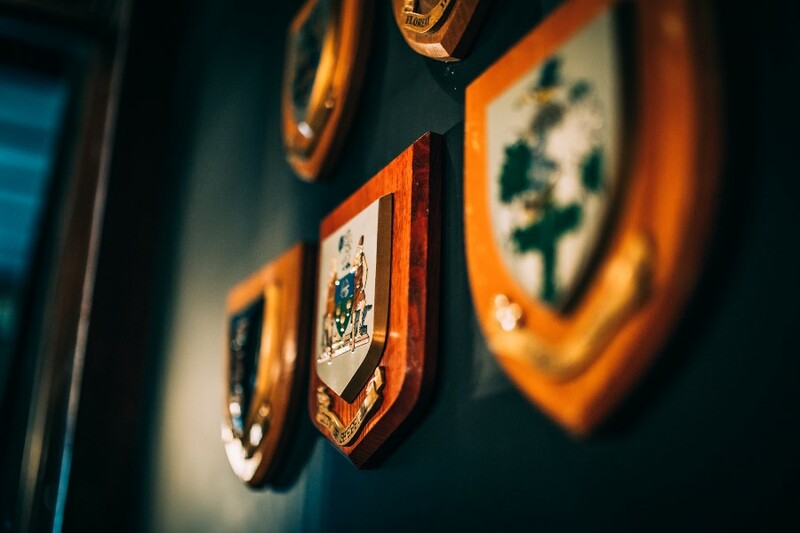 The club’s athletic heritage adorns the walls with a gallery of vintage photographs alongside Timothy Oulton’s Match Point display of wooden tennis rackets, collected from the 1950s and 60s. Underneath the elegance of a large Crystal chandelier, the Boston dining table in Aero finish sits ready to host conversation with colourful Bombora dining chairs. 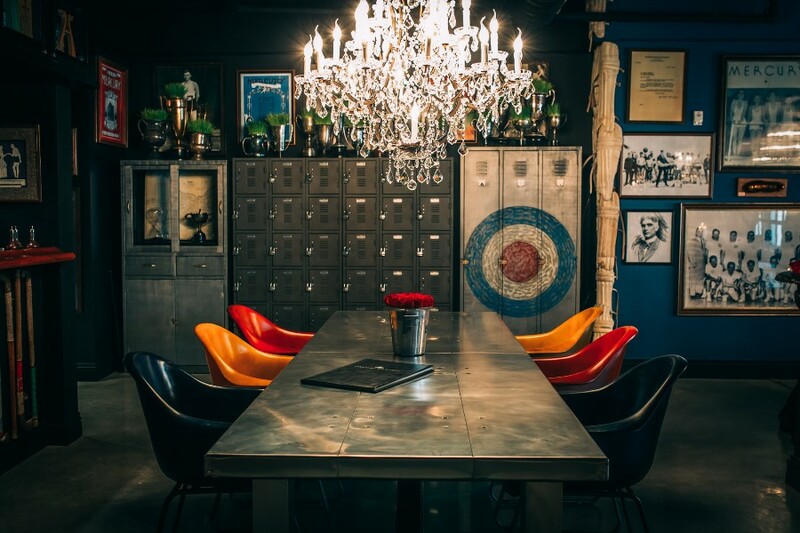 The American Locker range gives a playful twist, topped with trophies from Timothy Oulton’s vintage collection. 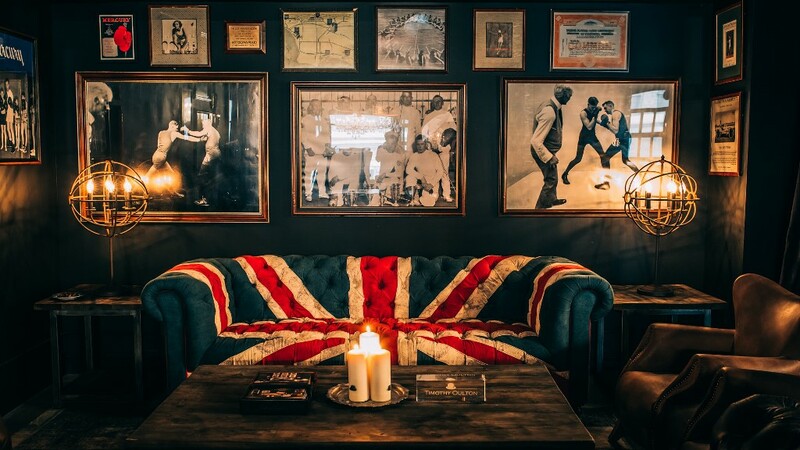 In a cosy candle-lit corner, the Westminster Union Jack sofa sits together with Scholar armchairs and Axel coffee and side tables; a touch of industrial elegance complemented by Gyro lamps. 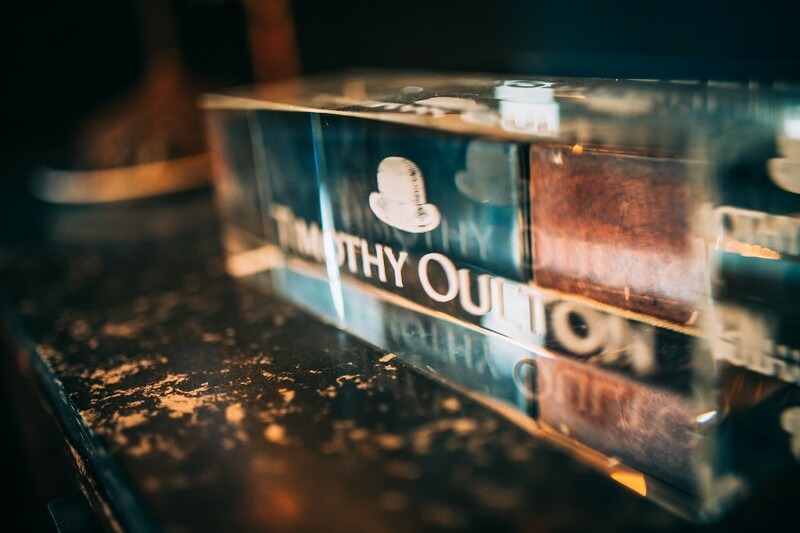 On the other side of the room the vibrant colours of the Oxford by Timothy Oulton collection awaits. 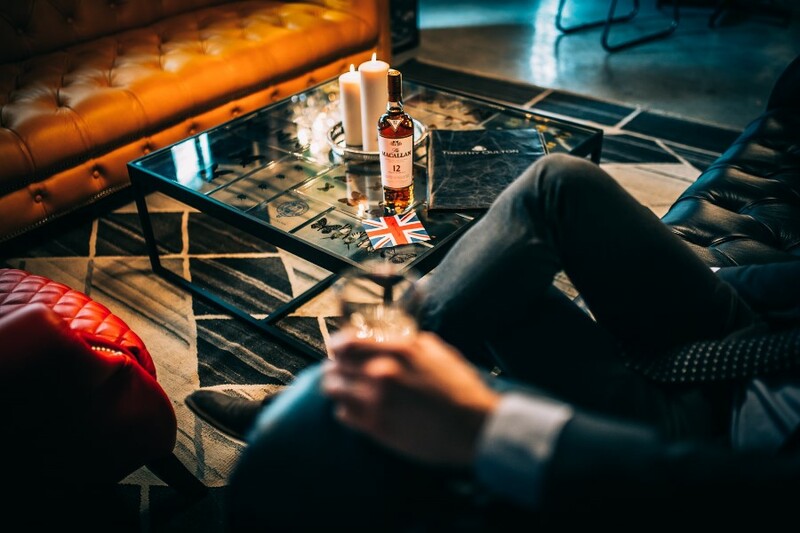 A fresh take on the classic Chesterfield, the Senior Common Room sofa is joined by the Bursar’s chair, Oxford Student Trunk and Butterfly coffee table – displaying real specimens of butterfly under the glass. The Test Tube chandelier, handmade from laboratory glass test tubes, softly illuminates the space together with Crystal floor lamps. 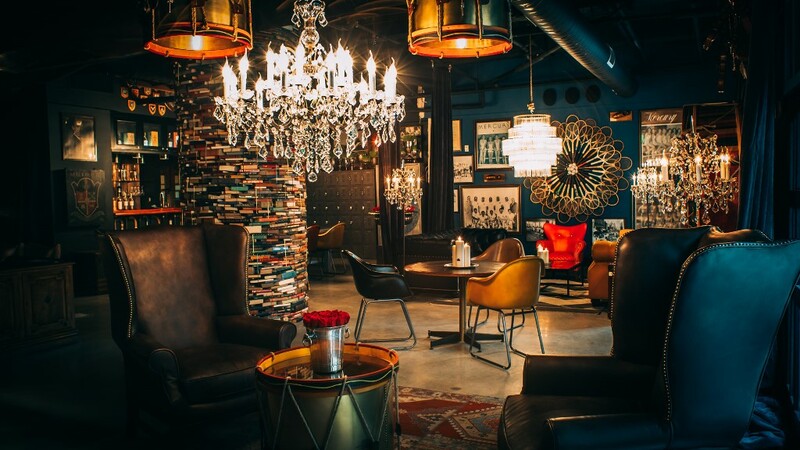 This is a space for friends to congregate and new relationships to be forged. 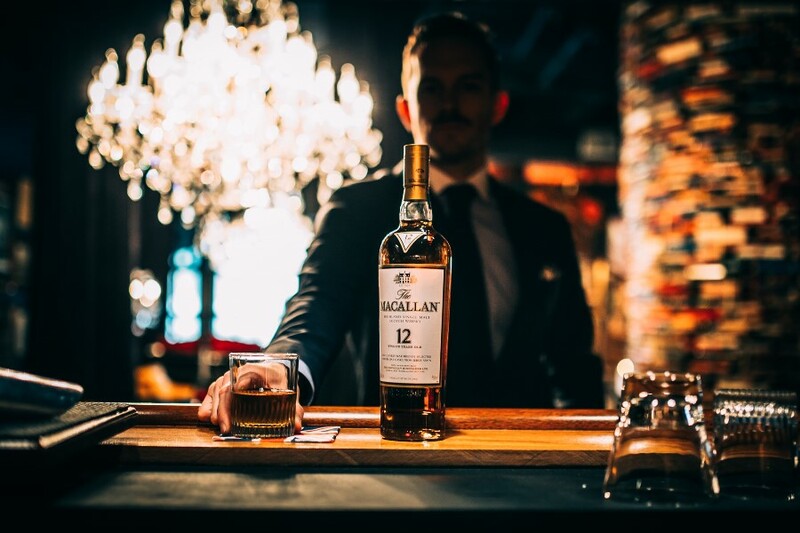 Time to grab a drink at the bar from the selection of Macallan whisky, and saunter past the Pillar of Knowledge – our signature tower of vintage books – over to a quiet nook. 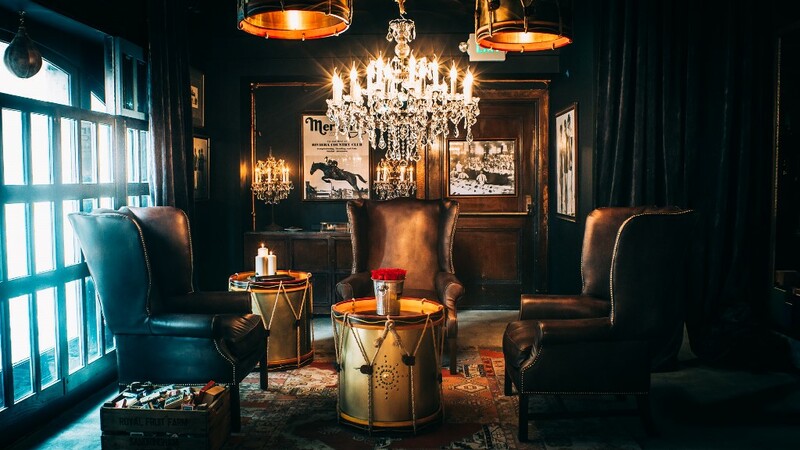 Seated around Drum side tables underneath the mellow glow of Drum and Crystal chandeliers, the oversized, decadent comfort of Daddy Downing chairs encourage conversation that carries on late into the evening. 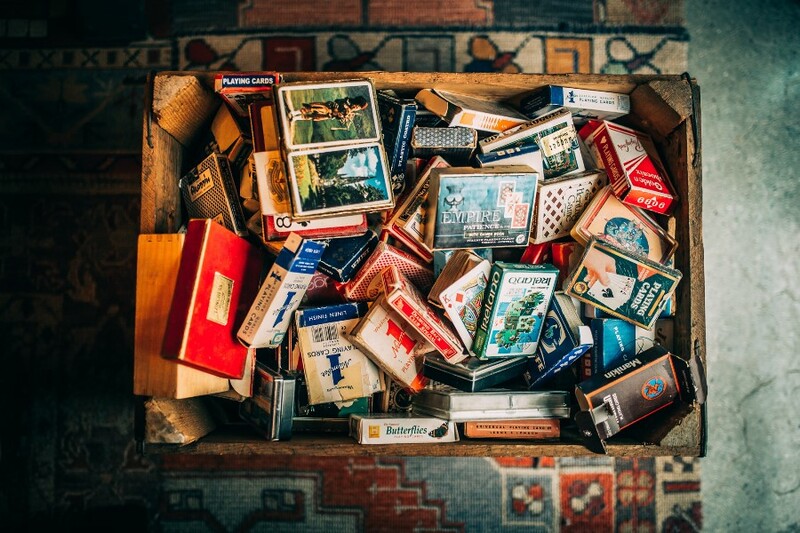 And with a crate of vintage playing cards nearby it could be a long night. 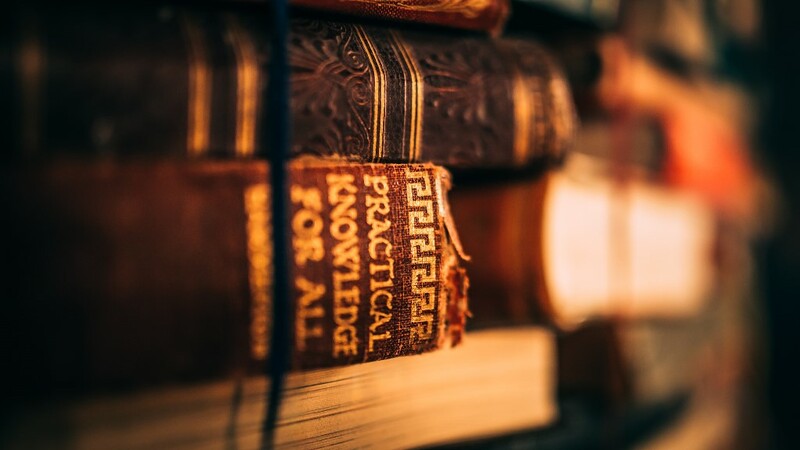 Vintage curiosities appear around every corner, from old cricket shin pads to hockey sticks, to a medley of violins above the Drum bookcase. 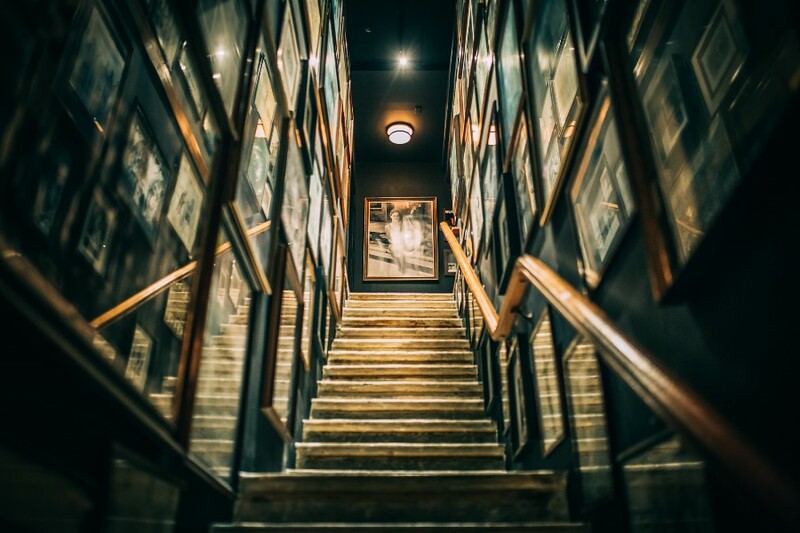 Standing here in the Blue Room there is a strong sense of the past and an appreciation for heritage, yet it manifests itself through a fresh, modern setting, ready for a new chapter to begin. 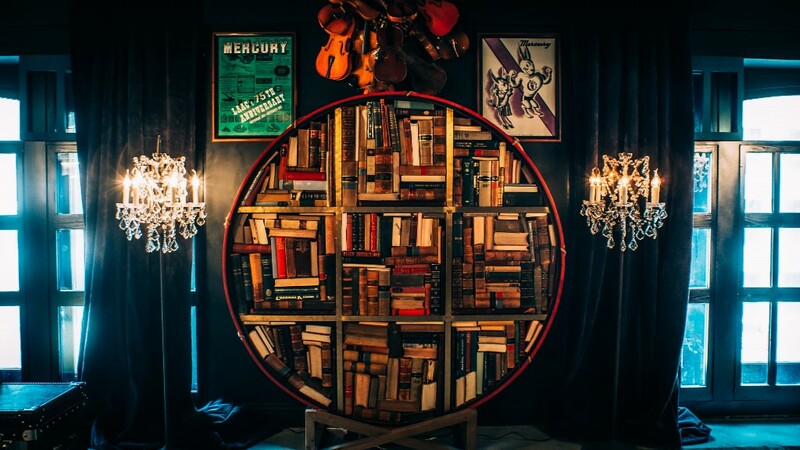 A perfect pairing with Timothy Oulton’s collections. Real Homes: Meet Lydia & Doug. How do you achieve the perfect balance between family-friendly and stylishly sophisticated? 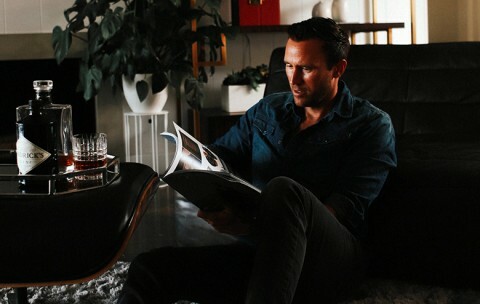 Ask art gallery owner and editor-in-chief of Nobleman magazine, Doug McLaughlin, and his entrepreneural wife Lydia, who showed us a sneak peek of their beautiful Orange County home. 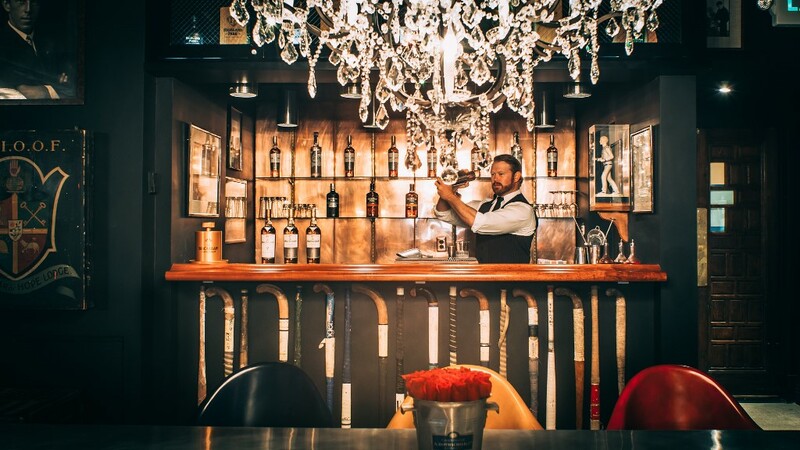 Aston Martin and Timothy Oulton Collaborate in L.A. 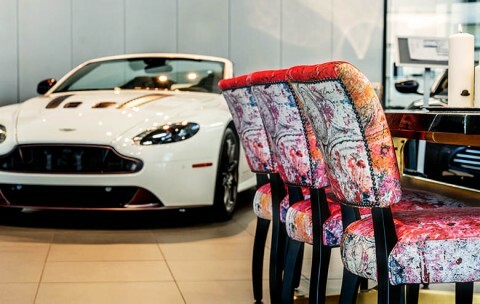 Both powered by a passion for authentic handcraftsmanship and beautiful aesthetics, British friends Timothy Oulton and Aston Martin unveil their latest collaboration: the furnishing of Aston Martin’s luxurious Beverly Hills showroom. Afternoon tea; that most quintessential of English customs. 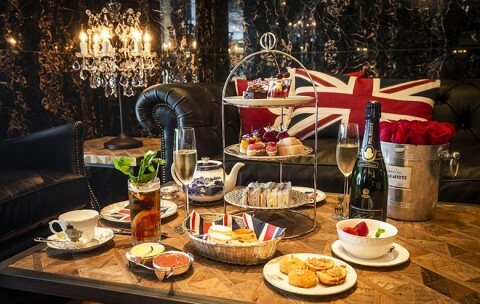 It’s something we love to often host in our galleries (ah, we can almost smell the buttered scones), and now we’ve partnered with Mandarin Oriental in Hong Kong for a rather special ‘British Afternoon Tea with Timothy Oulton’. 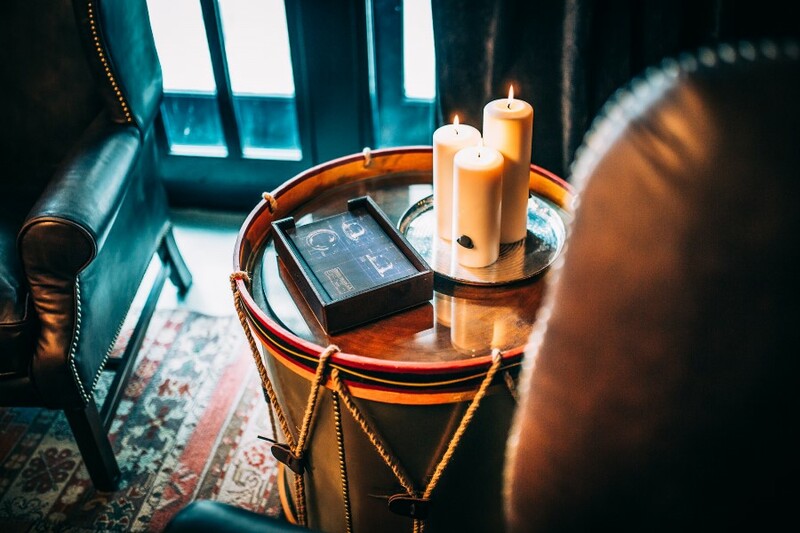 Imagine hanging out with friends at one of New York’s coolest townhouses, lounging on the sofa and listening to music, catching a movie…and then imagine amplifying this experience to the most insanely comfortable sofa, the most inspiring visual backdrop, the most intensely exquisite audio experience.